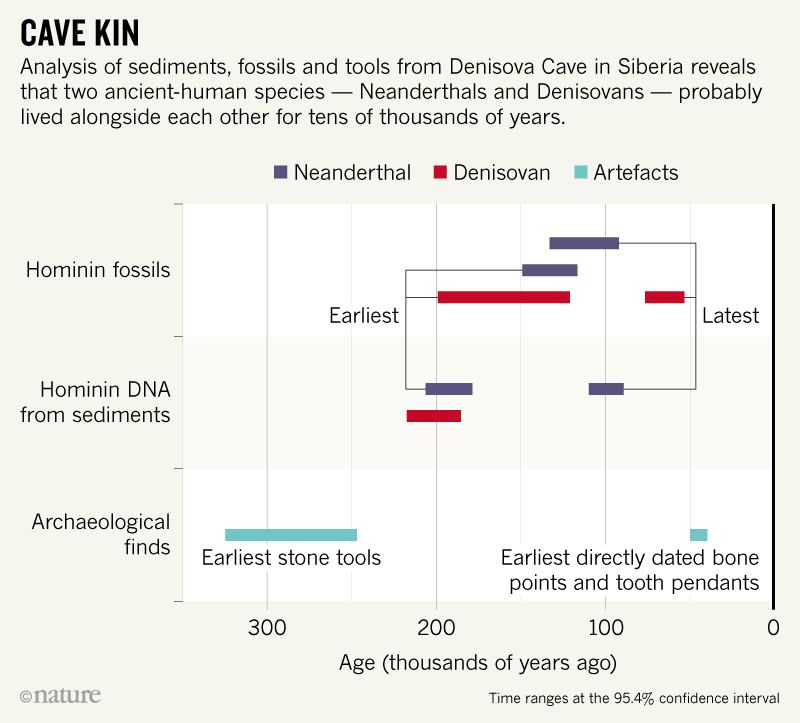 |SOURCE| Neanderthals and Denisovans might have lived side by side for tens of thousands of years, scientists report in two papers in Nature. 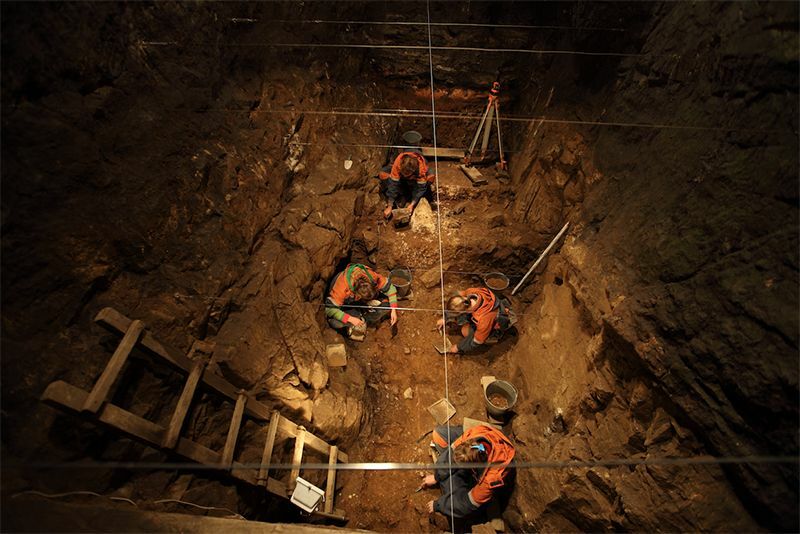 Homo sapiens might also have lived in the cave, the researchers suggest. Bone pendants and tools — similar to those made by early modern humans in Europe — from the cave’s younger layers date to between 49,000 and 43,000 years old, reports a team led by archaeologists Katerina Douka at the Max Planck Institute for the Science of Human History in Jena, Germany, and Tom Higham at the University of Oxford, UK, in the second Nature paper2. 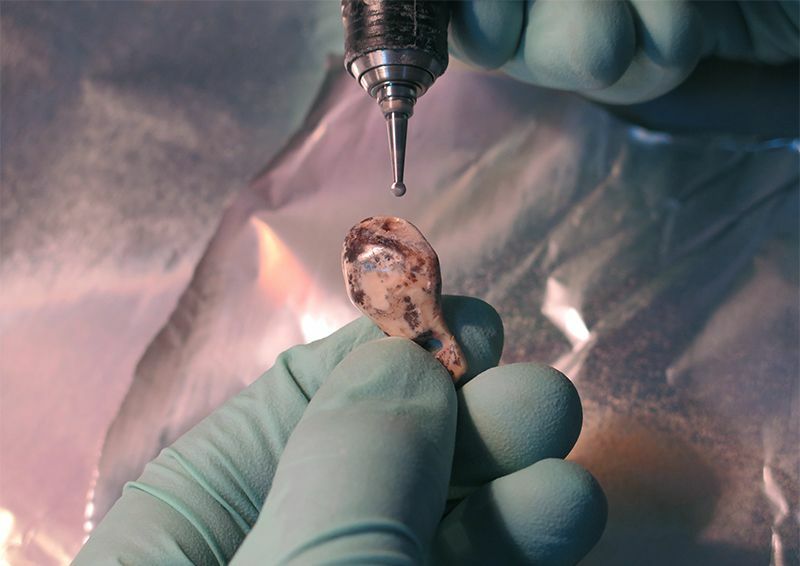 Hybrids similar to Denny are another suspect, says Robin Dennell, an archaeologist at the University of Exeter, UK, and author of an accompanying essay on the studies.